Ittokai Sword Club – Learn Iaido! The best way to learn about Iaido is to come and take part in a class. There is no charge for prospective students. Come and study the ancient Japanese art of drawing the sword. Deceptively simple looking, Iaido embodies grace, power, discipline, and unity of the mind and spirit. No special equipment is required to start, however loose fitting clothing and kneepads are suggested. If you decide to join, our monthly dues are a very modest $50. We practice Iaido for the love of the art so we only charge what we need to cover our expenses. 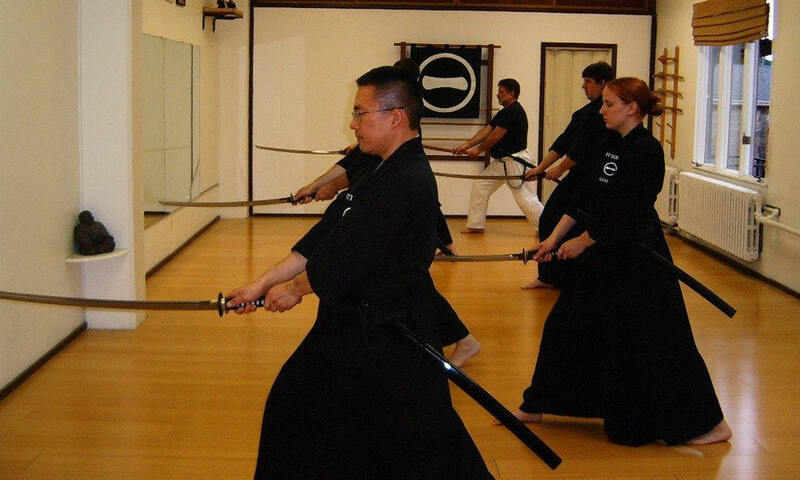 Come and experience Iaido for yourself. We have recently moved to a new location in Rochester, New York. We are now practicing at the Shoshin Karate Dojo. Our dojo would not be the success it is without the help of our friends and we extend our sincerest thanks to the All United States Kendo Federation, our loyal students, and our former head instructor Clint Cross whose vision for the Ittokai, dedication, and sheer will made this a reality.